We’re kicking the new year off with a few goals to set our sights on, organizing the house, and lots of cozy down time to re-energize after the holidays. We’re ready to jump in to the new year! To go along with this, we decided to make a new graphic to get you inspired too, to jump into life! 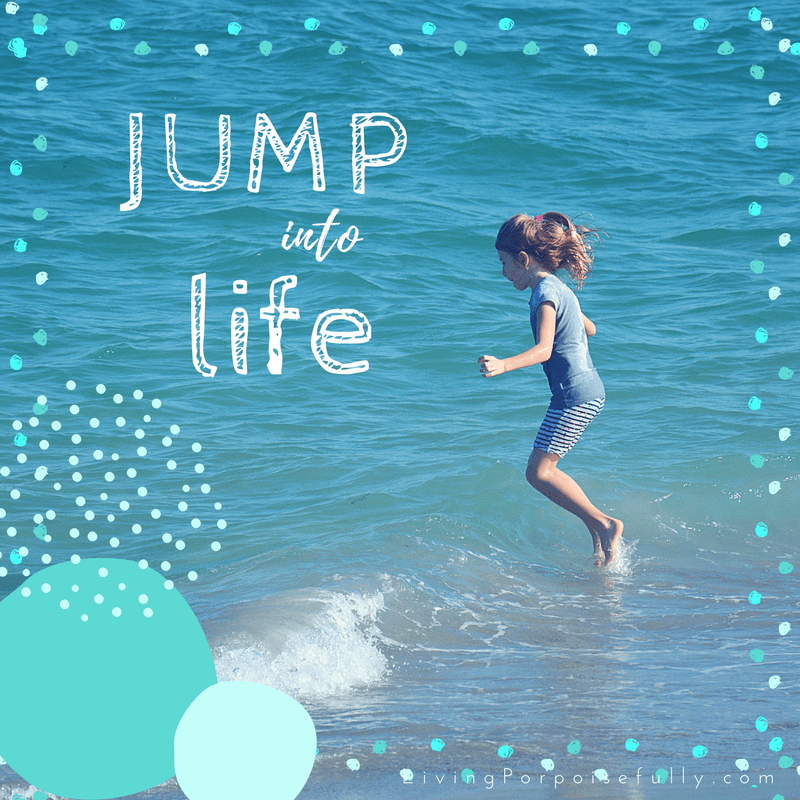 What is it that you’re wanting to jump into? House projects, a hobby or creative endeavor like photography, health and wellness plans, or just more “you” time? Maybe something you dabbled in last year and want to take to greater heights this year. We’ve got several of those on our list: a new book, house projects, healthy habits, and a never-ending quest for the sweet spot of balance. So whether it’s completely new or something you’re taking to the next level, don’t hold back from jumping in. May your 2018 be full of porpoise! Happy New Year! Love the joy and energy of the young! Thanks for sharing the smiles! Yes!! 😄Thank you for the happy new year wishes, and we hope it is a joyful one for you!